Jason is delighted to be holding his first Pensioners’ Advice Fair at Netherton Moor Community Centre, Rowan Avenue on Thursday 13th November, 10am-1pm. 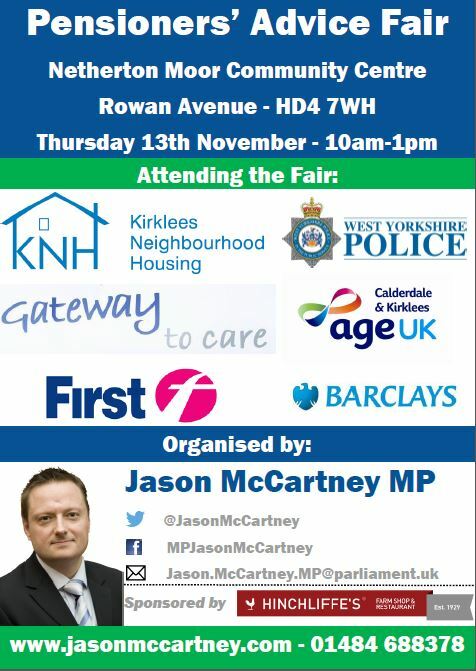 At the Advice Fair will be local and national organisations including Age UK and Kirklees Neighbourhood Housing who will be able to offer advice on a wide range of topics. Free refreshments will be available courtesy of Hinchliffe’s Farm. 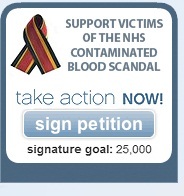 For more information please contact Jason’s office on 01484 688378 or email Jason.McCartney.MP@parliament.uk.